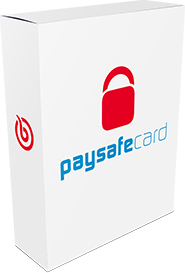 Paysafecard allow you to buy games, software, TV shows, movies and more online without a bank account or credit card. If youâ€™ve been enjoying the games on Bananatic and have built up enough points to get a card, why not swap your points for a Paysafecard 10 US for free today? Donâ€™t worry if you donâ€™t have enough points for the card as all is not lost â€“ you may still have the points needed to enter the Bananabet lottery and get your Paysafecard 10 US for free. Why not see if you have the points to get your Paysafecard right now?